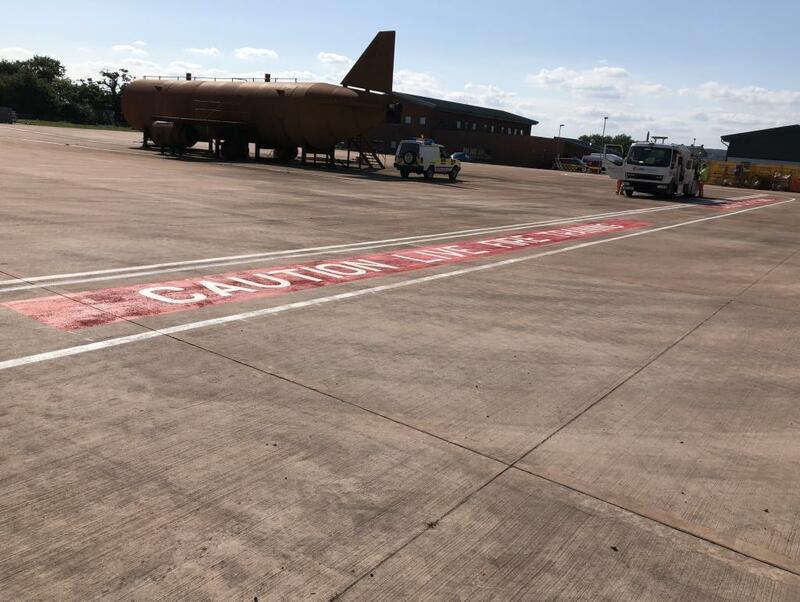 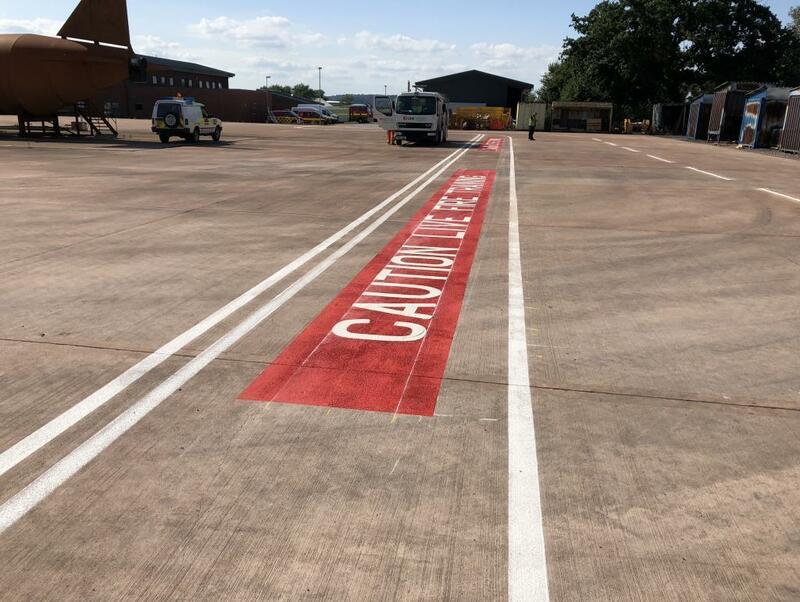 With all our lining jobs we insist that thorough preparation is key, so the crews first task was to start marking out the required lines and lettering using chalk. 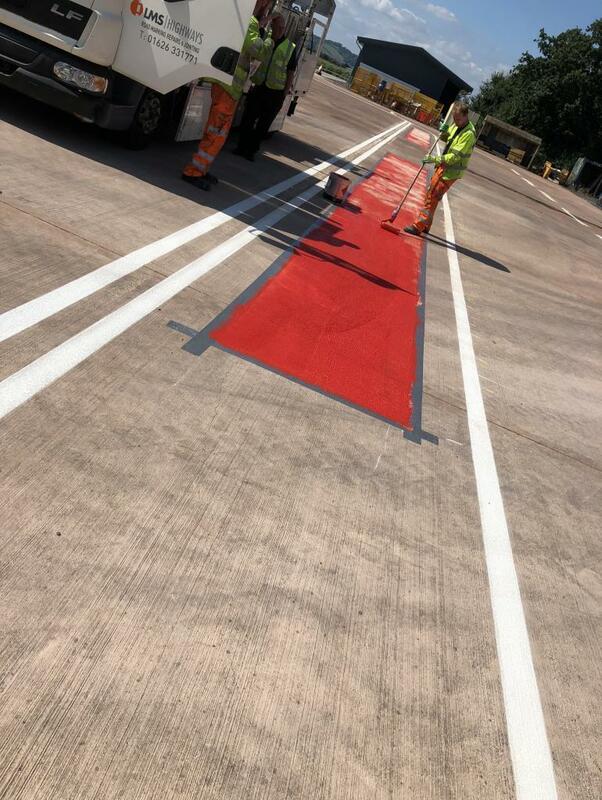 Two types of paint were used for this job; the first was white and green chlorinated rubber paint and the second was a red multi-grip paint. 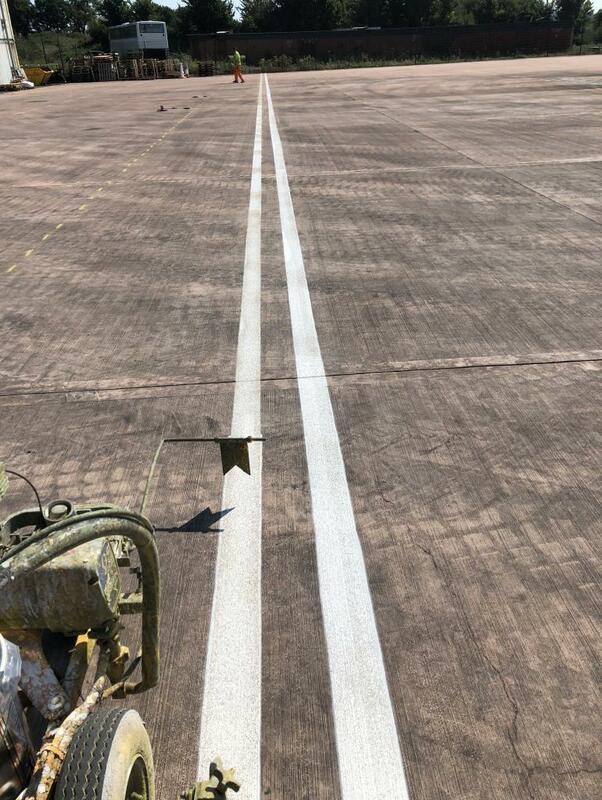 Work carried out September 2018 in Exeter.